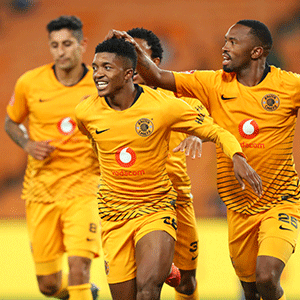 Cape Town - Goals either side of the half-time break saw Kaizer Chiefs beat Cape Town City 2-0 in their Nedbank Cup quarter-final clash at the Mbombela Stadium on Sunday afternoon. The Amakhosi opened the scoring on the half-hour mark through Hendrick Ekstein while Dumisani Zuma slotted home 11 minutes after the interval to seal the victory. The Soweto giants started brightly and almost opened the scoring as early as the fifth minute when George Maluleka had a long-range effort parried over the bar by City keeper Peter Leeuwenburgh. Chiefs were rewarded for making all the early running when Bernard Parker took advantage of a mistake by City defender Edmilson to square the ball to Ekstein whose deflected effort beat Leeuwenburgh. The designated home side then almost doubled their lead seven minutes before the break with Siphosakhe Ntiya-Ntiya hitting the post with the goal at his mercy. The Citizens came out with more purpose in the second stanza and just five minutes after the restart Zukile Kewuti came close to equalising for the Cape side but his header at the far-post hit the upright. Chiefs went 2-0 up in the 54th minute when substitute Zuma scored after getting on the end of a knockdown inside the six-yard box from a corner to bundle the ball over the line with his knee. Parker should have put the game out to bed with 13 minutes remaining but the veteran forward struck his effort over the bar after being clear through on goal. It mattered little though as Chiefs managed the final few minutes to book their place in the last four of the Nedbank Cup.